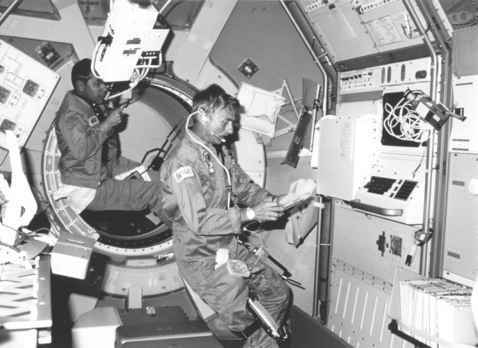 Parker (rear) and Garriott work in the long module of Spacelab 1. The scientist-astronauts had tried to fly two of their group on each Skylab mission but only one was assigned (including Garriott). Spacelab 1 offered the opportunity that Skylab did not, utilising the skills and availability of the combined science background and astronaut training to the best advantage. cheap screwdriver. There was also an unexplained power surge in a high-speed data recorder that blacked out television transmissions from space. This flight was also notable in that the scientists on board could communicate directly through voice- and science-data downlink with their colleagues on the ground, rather than through an astronaut Capcom. Lichtenberg would later say he was extremely grateful for this timesaving and necessary innovation. "It was the first time we've ever had direct contact between scientists on board a spacecraft and scientists on the ground. Always in the past, all of the communications had gone through an astronaut on the ground. On Spacelab 1, the concept of having practicing scientists in direct voice and video contact with their peers on the ground was a major step forward. Spacelab payloads, while the Johnson Space Center was responsible for orbiter operations. A mission management team from Marshall worked out of an area known as the Payload Operations Control Center (POCC) located in JSC's Building 30, while at the same time orbiter operations were conducted at Johnson's Mission Control Center (MCC). 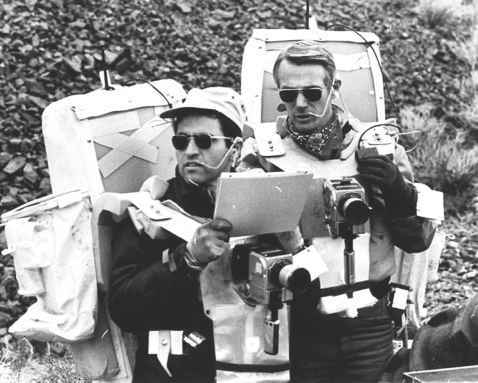 The Huntsville Operations Support Center (HOSC) in Alabama supplied technical advice, operating much as it had during the Skylab programme. Despite these problems and equipment breakdowns, the Blue and Red teams worked as a highly efficient and productive crew. By using some of the most sophisticated equipment ever flown into space, their work resulted in many unprecedented and useful results. The ultraviolet telescope, for instance, provided the best sightings ever of dying stars, while the Metric Camera mapped tiny details of the Earth's surface. Unfortunately, the Very Wide Field Camera performed poorly and would have to be re-flown. In a little zero-G alchemy, a furnace that could be fired up to 3,800 degrees Fahrenheit managed to form an amalgam of aluminium and zinc, creating a strong, lightweight metal alloy impossible to produce in the presence of gravity. The French ALAE pallet experiment detected and successfully obtained the first-ever measurements of deuterium in the upper atmosphere. This not only helped scientists study weather patterns on Earth, but if large quantities of deuterium could be detected elsewhere in our universe, it would suggest that the targeted celestial body may once have held elements of water - an essential prerequisite for life. 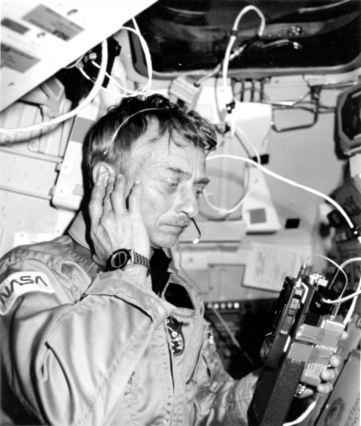 Garriott operated the amateur radio equipment during the STS-9 mission. Towards the end of the mission, NASA spokesmen said they were pleased with the work carried out, and greatly impressed by the number of worthwhile results they were obtaining. Cryogenic fuel usage had been unexpectedly low, and the crew had been exceptionally careful with their electrical energy consumption, so it was decided to extend the science mission from nine to ten days.